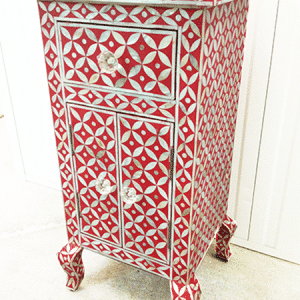 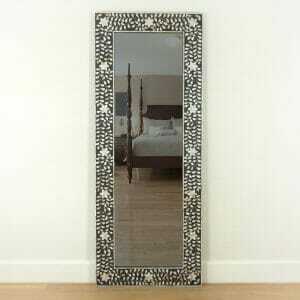 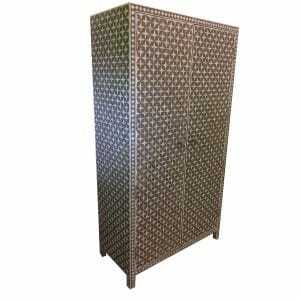 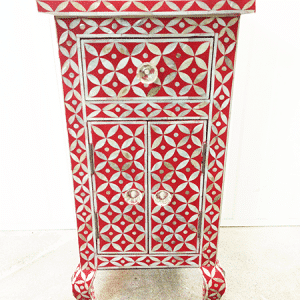 120cm wide x 87cm high x 45cm deep. 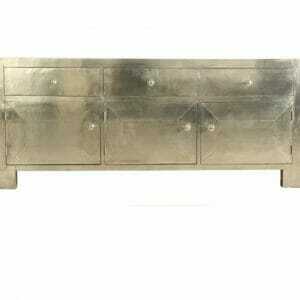 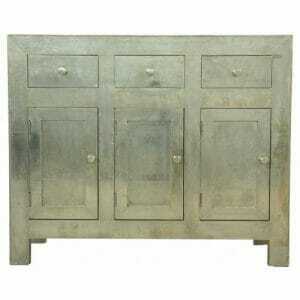 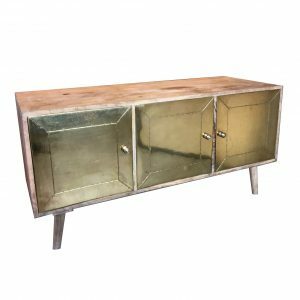 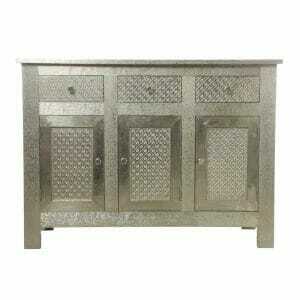 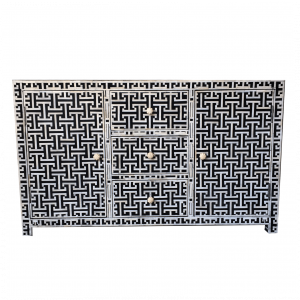 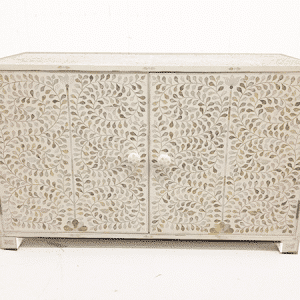 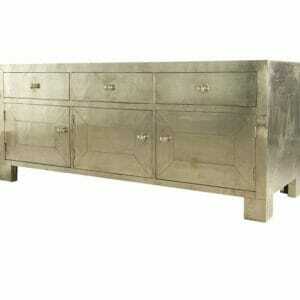 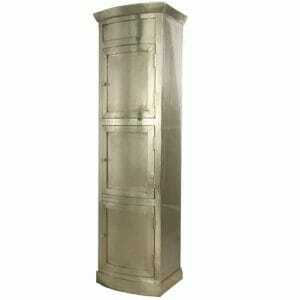 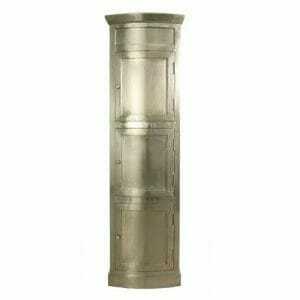 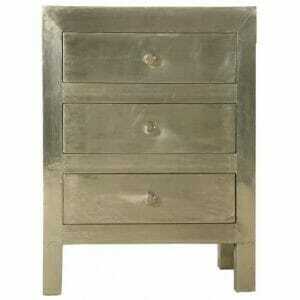 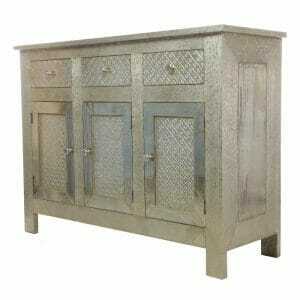 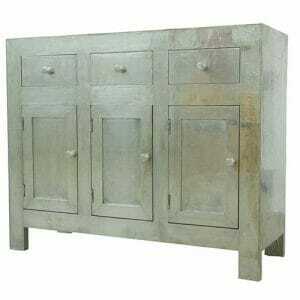 This brand new Indian Brass embossed sideboard is created using the same method as a our White Metal furniture. 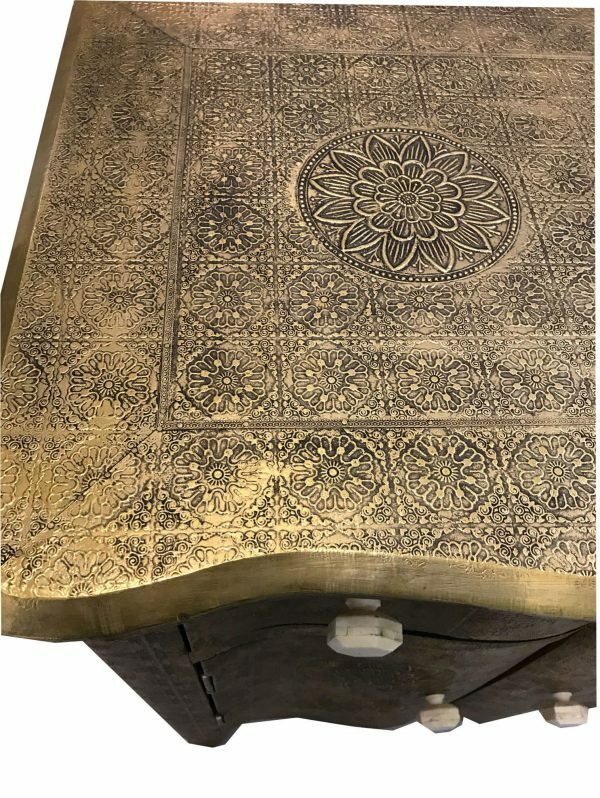 Brass sheets are embossed by hand with traditional Rangoli patterns, with a method that has not changed for centuries. 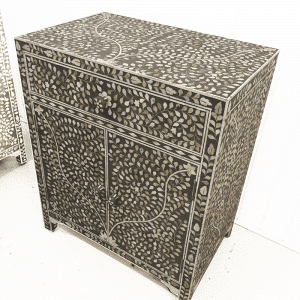 Wooden blocks or dye are carved by hand with all the different patterns and the brass sheets are hammered over the dye to create the repeating motifs seen on the close up image. 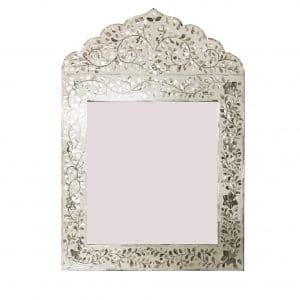 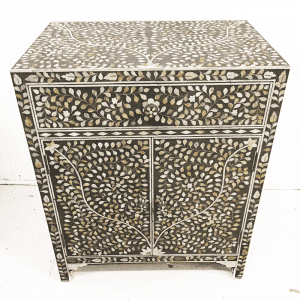 Exactly the same method has been used for hundreds of years, traditionally the metal of choice was silver and embossed silver furniture has adorned the palaces of Rajasthan since the arrival of the Moguls from Persian in the sixteenth century. This time honoured technique has been given a new twist with these Brass metal sheets. 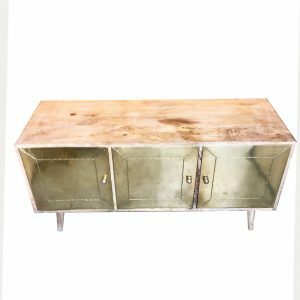 The brass is first treated to give an Antique feel before being embossed and then expertly applied to the Sheesham wood sideboard. 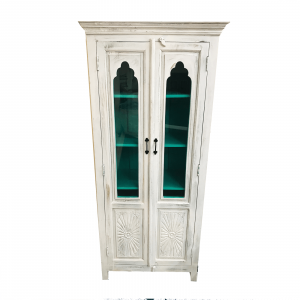 This blend of Rajasthani themes and elegant French style curves and waves come together beautifully in this statement sideboard that will be hard wearing and durable as well as practical. 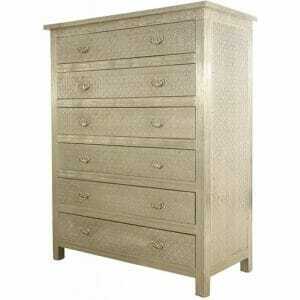 Two drawers on smooth runners offer convenient storage above two spacious cupboards with a removable shelf in each. 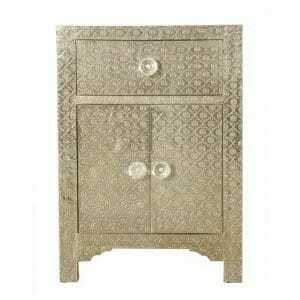 Customers are invited to order other items in this antique embossed brass with our unique bespoke service. 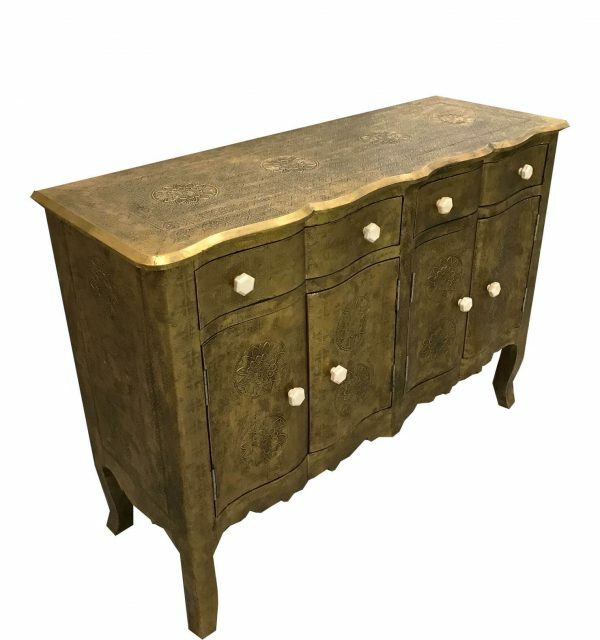 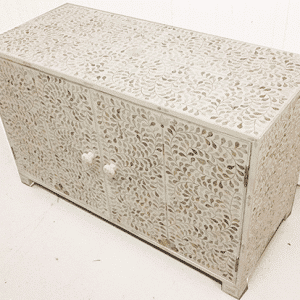 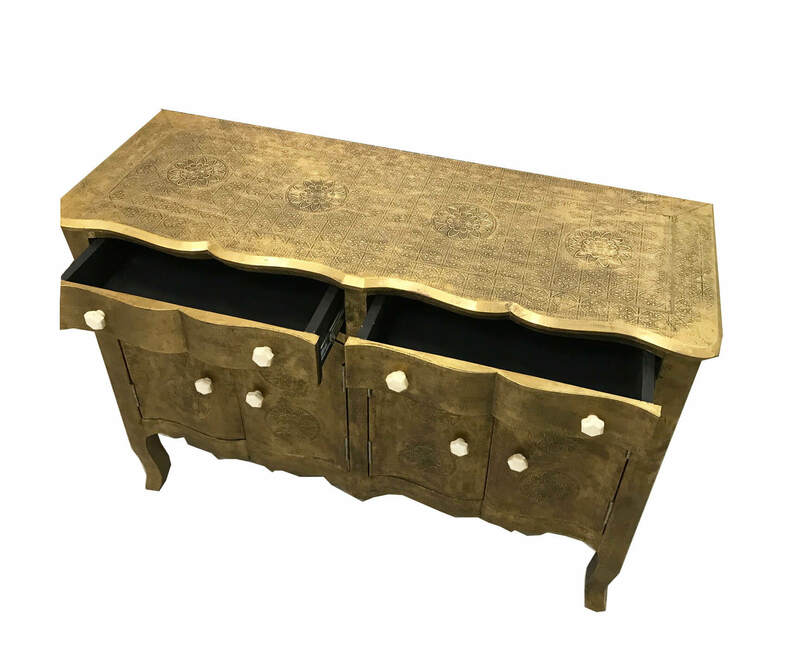 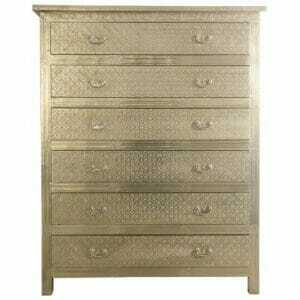 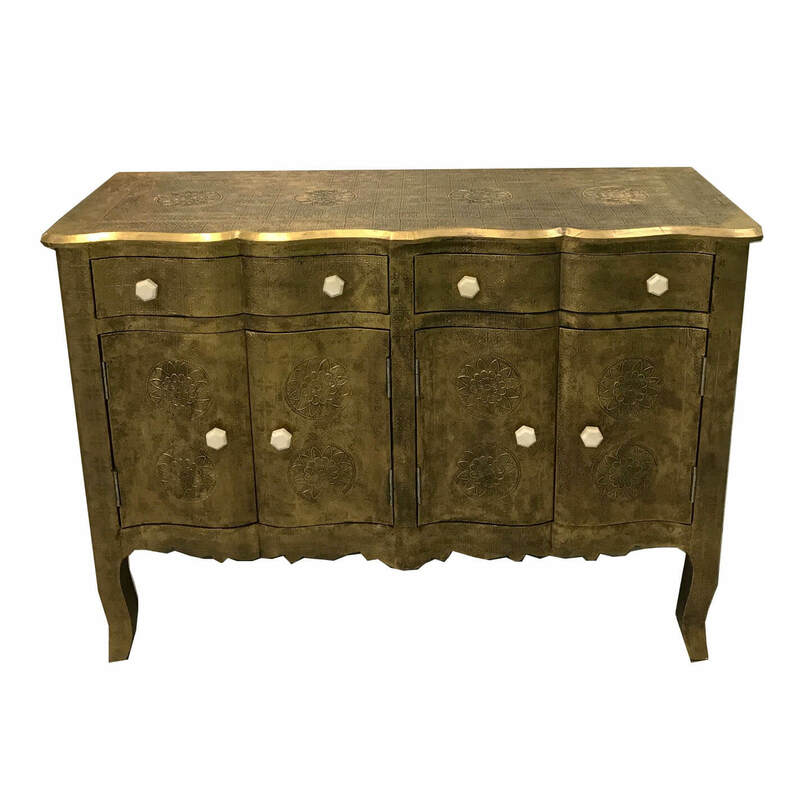 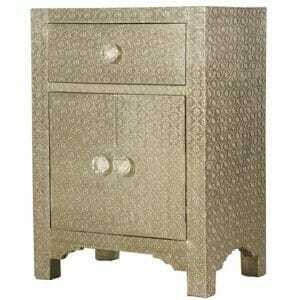 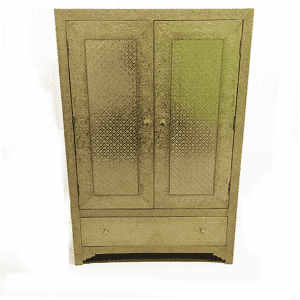 We can order Indian brass embossed chests of drawers in any size, brass embossed bedside cupboards, dressing tables, console tables and even wardrobes. 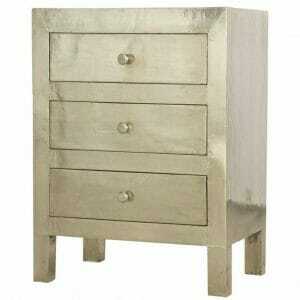 Please send bespoke enquires to info@irisfurnsihing.com. 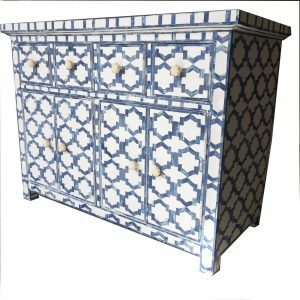 We will collaborate with you on bespoke projects sending drawings, sketches and photos as required. 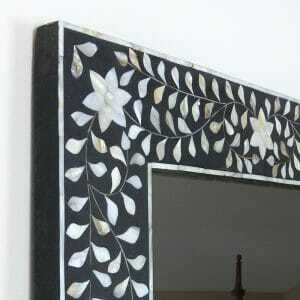 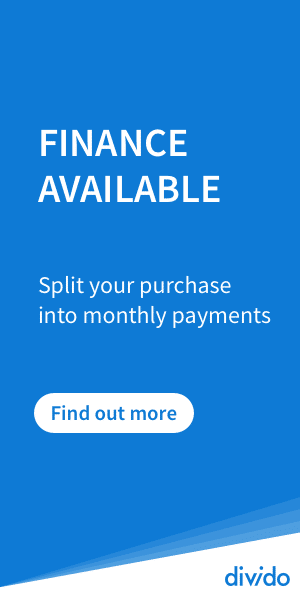 Lead time is typically 3-4 months and quotes can be provided on request.